Once we started digging into our favorite girly names, like Nina and Sophia, we discovered something kinda interesting — even the sweetest girls’ names have significance and strength behind them. Other bold and beautiful names, like Athena and Luna, have a notoriously strong history. The following girl names mean “strong,” and include a wide variety of classic and unusual names. We have listed the origin of the name as reference; click on the link for more background information. 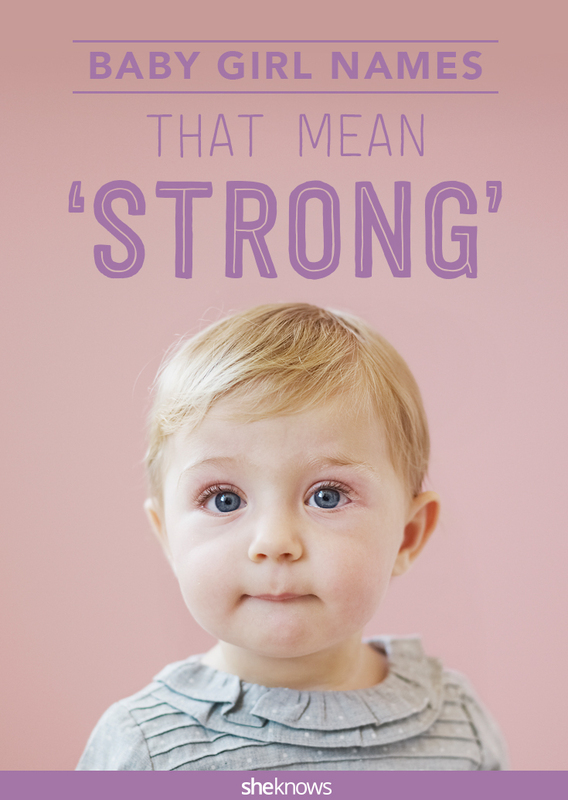 There are several girl names that don’t necessarily have “strong” as their meaning, but have meanings that are powerful, courageous and brave — just like your baby girl. Emma is currently the most popular baby name in the United States, according to the Social Security Administration. This name means “universal” or “whole.” The second most popular name, Olivia, means “olive, sign of peace” in Latin. See below for more names with great meanings. We also love the name Nike, after the Greek Goddess of strength, speed and victory. Another beautiful name is Athena, after the Roman goddess of war and wisdom. Let’s not forget Luna, who was the Roman goddess of the moon. We also love girl names that have a strong sound to them. For example, the Duchess of Cambridge Kate Middleton named her daughter Princess Charlotte, which has a strong and classic sound to it. Unisex names also have a strong sound to them; for example, actor Dave Annable named his daughter Charlie Mae. Believe it or not, the name Khaleesi, from the “mother of dragons” character in Game of Thrones, is also climbing up popular baby name lists. Originally published Feb. 2016. Updated Sept. 2016.